According to a CNC3 report on Tuesday night, a PWC audit revealed Jan tried to approve funding for the TTCB beyond his limit at SporTT. He was fired from the company in November 2017 after a two-year tenure. He was not given a reason for being fired. 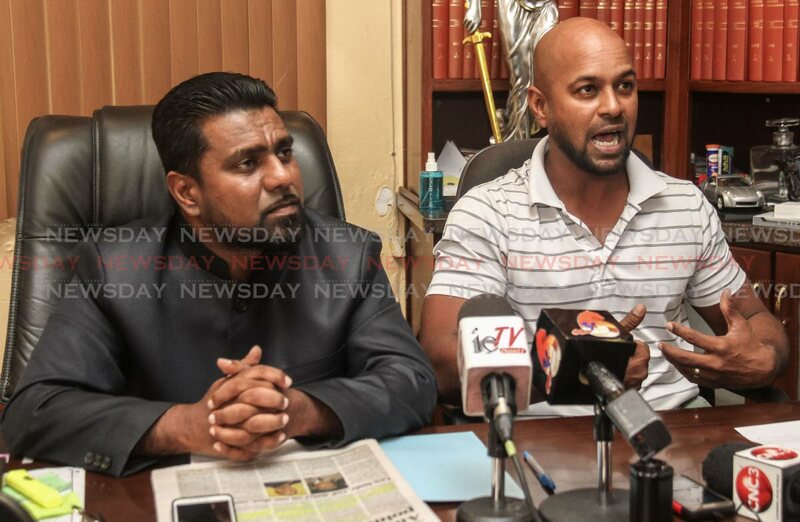 At the chambers of Gerald Ramdeen in Woodbrook yesterday, the former national cricketer said he was trying to approve money to the TTCB that was owed to the cricket organisation. Jan said, "We all know all sporting associations in the country have allocations that they draw down on. Like the TTCB, every other NGB (national governing body) would draw down from their allocations. All I merely did and seek to do to the TTCB – like I did with all the other NGBs – was to ensure that they get their monies in a timely manner. This could not have happened because the then chairman (of SporTT Dinanath Ramnarine) insisted that no payment will be made to the TTCB, and we all know why. That being said, I never influenced or tried to influence (from) my position as a director to pay any monies that weren't allocated to the TTCB in any form or fashion." Jan said approving the money was within his capacity as a director. "No, I would have not exceeded or attempted to exceed any limit, because in front of us we don't have a limit per se. The limits are with signatories and the issuing of cheques for which I had no control over." It was alleged that if Jan provided money to the TTCB he would be offered a job as assistant coach for the Red Force in October 2017. In response to that allegation, Jan said, "Let me state, I am highly respected, highly qualified coach not only in TT but throughout the Caribbean. My qualifications are English and Australian, and I am asked to do coaching sessions sparingly in England and now in the United States as an individual. I don't take my profession very lightly. It was also reported that I was being pushed to the front of the line as quoted. "I will say straight away that I would have probably been in front of the line before there was a line; because based on my experiences, based on my qualifications and based on what I have achieved as a coach, surely I could have been have placed in front of the line." Jan said he could not have been rewarded because no money was given to the TTCB. "No monies were ever paid to the TTCB so no reward could have been given to me to become a coach," he said. Jan was the assistant coach for four TT Red Force games. The audit report also said Jan leaked confidential SporTT documents to TTCB president Azim Bassarath which revealed the amount the TTCB would receive from SporTT. Addressing this claim, Jan said, "I just basically had no documents at no time that were not supposed to be shared." Jan said he is uncertain if the person who leaked the audit report is linked or was linked with SporTT. "I can't say that, but the individual (who) may have leaked this document may have aspirations in the TTCB, and that individual would have been preventing me from doing my duty." Ramdeen said he has not seen the contents of the PWC report, but plans to request a copy. Ramdeen questioned the timing of the leak of the report, which is more than a year old. He found it strange that it was brought into the public domain just before the TTCB elections scheduled for Wednesday. Ramdeen said, "Why is it that the particular individual, who we know very well and will be in the public domain over the next week trying to secure a particular position on the TTCB, has decided to leak this report at this particular time? It is very clear that when the smoke settles...it was clearly designed to influence the elections of the TTCB." Reply to "Jan defends audit bouncer"